The Mamilla Cemetery is a Muslim holy burial site where close disciples of Prophet Muhammad and Salah-El-Deen are buried there. It is dated back to the 7th century and remains a religious, historical and archeological treasure. The numerous mausoleums and graves are still visible. In 1948, Israel took control of the cemetery and prevented the Muslims from burying their dead there and forbade the Islamic authorities (Waqf) from maintaining the grounds. In 1964, the Israeli occupation government declared the grounds "abandoned" and ”deconsecrated"- a concept that does not exist in Judaism nor Islam. The fact that the cemetery was an Islamic Waqf (endowment for religious use) did not deter the Israeli seller. The Mufti of Jerusalem Sheikh Mohammad Hussein called it an "outrage" and "disrespectful of the dead." SWC founder and head Marvin Hier called the cemetery, "derelict land." The planned museum "is one of the largest educational and cultural projects ever undertaken, one that will become a centerpiece in the city’s cultural life," the Center’s website said. "It is not just another museum about the past, but a unique institution that will focus on issues of human dignity and responsibility and seek to promote unity and respect among Jews and between people of all faiths." Critics counter that the project is disrespectful to the religious rights of Muslims. They say such a project wouldn’t be allowed over a Jewish cemetery. According to a fact sheet put out by the Council on American-Islamic Relations (CAIR), the ultra-Orthodox Jewish group Atra Kadisha have, in the past, successfully "stopped multi-million dollar road construction plans" and other projects to protect Jewish graves. Jewish scholars and organizations have also come out against the planned museum. Former deputy-mayor of Jerusalem Meron Benvenisti, in an op-ed headlined "The Hypocrisy Of Tolerance" in the Israeli daily newspaper Ha’aretz, wrote "Throughout Israel there are hundreds of sites that were once Muslim graveyards, whose remains are still evident at a few dozen of them. The rest have vanished... The Muslim cemeteries' condition is so outrageous that if it existed in another civilized state it would raise a public storm." Munira Syeda, head of the Los Angeles CAIR chapter, said building on the cemetery goes against what the museum is supposed to be about. The center claims that the property the museum will be built on – which was given to the Wiesenthal Center by the Israel Lands Administration in 2000, according to the SWC’s fact sheet – has been unused for decades and isn’t sacred. The fact sheet the center uses to back their claims relies heavily on the court’s ruling and claims that the site is in fact "Mundras," or that it lost its sanctity. A Sharia court made the Mundras classification, on July 7, 1964, according to a 2006 statement from the Wiesenthal Center, which states that the future site isn’t on the cemetery, but on an adjacent car park built in 1960. CAIR counters in its fact sheet that the Sharia court was handpicked by the Israeli government, and was not trusted by Palestinian Muslims, and that the car park was itself built over a portion of the cemetery. "The Center claims the cemetery has not been in use for 50 years," the group said. "That is understandable because hundreds of thousands of Palestinians were forced to flee as refugees and abandon their properties." During the 1948 war, 800,000 Palestinians were expelled from their land, the property left behind placed under government authority and classified "absentee property." According to Israel professor Uri Davis in his book, "Apartheid Israel," the Absentee Property Law of 1950 served to guarantee "a demographic majority of the Jewish tribes in the territories under its control." It’s under this law that the land was given to the Center, according to CAIR. "Unfortunately, the Center refuses to acknowledge these grave atrocities against Palestinians," Syeda said. 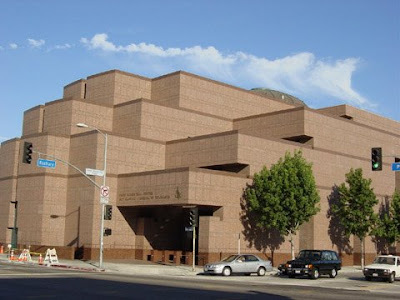 Over the course of the past three decades, the Simon Wiesenthal Center brand has been enhanced by its Museum of Tolerance in Los Angeles, but recent developments in Israel have begun to tarnish the institution’s reputation. Does Jerusalem really need another tourist attraction in the heart of its small downtown, whose infrastructure is already overtaxed, where parking is already next to impossible, and where increased traffic in the proximity of the Old City walls presents yet another threat to the foundations of the greatest treasures the Eternal City has to offer? Does the center of a city already blessed with beautiful venues and world-class museums really need yet another conference center, theater and museum complex competing for a limited number of congresses and a circumscribed revenue pool? Is there no alternative site in the Jerusalem corridor for such an ambitious campus that might be more environmentally and visitor friendly? Could not such a project built near the Kennedy Memorial on the city’s outskirts perhaps resurrect a stunning monument that was once a mecca for American pilgrims and that has since fallen into shameful neglect and disrepair? Can a museum that plans to display exhibits that portray “Israel’s relations with its Arab neighbors” hold itself up as a beacon of coexistence when the next three years of its construction are likely to be marred by protests and demonstrations? Can a city whose fabric is so intertwined with symbolism afford to be home to a museum built with Diaspora money on the site of Muslim graves, even as Israeli tour guides invoke the specter of Arab desecrations of Jewish graves on the Mount of Olives? Can a museum under the mantle of the Simon Wiesenthal Center stand up to comparisons with efforts in Europe to erect modern buildings on land that was once Jewish cemeteries or concentration camps? Imagine that kind of outcry! Jerusalem is too fragile a place for a flamboyant building, however well-intentioned, that creates ill will among a significant sector of the population that shows no signs of accepting it. As one call to action put it: “The legal battle has been lost… we must move on to the political battle.” Is a so-called Museum of Tolerance worth turning the Holy City into a battleground once again, in the 21st century? Instead of such a grandiose scheme, let the center invite Arab architects to collaborate in designing a tasteful Garden of Tolerance on the disputed site, as an extension of the existing belt of green that is Independence Park. What will the museum people say when visitors ask them why of all places in Jerusalem did they establish their tabernacle on the land of a Muslim cemetery and nowhere else? What will their explanation be when visitors wonder why the museum embarked on its brotherhood project in a clash with the Muslims? With regard to concerns that this institution is liable to fan harsh protests, the High Court of Justice says, rightly, that we must not cave in to violence. But from the public perspective the problem is different: An institution for tolerance that chooses a location so that it will become a permanent source of friction, even nonviolent friction, is grotesque. If this institution is established, it will be a civic, Jewish and moral disgrace. Presumably, Muslims who have self-respect and respect for their heritage will not participate in its activities and Jews of integrity and common sense will never set foot in it. Do Muslims really support terrorism?